Under the Privacy Act, 1988 (Cth) (the Act) Mosaic Baptist Church (Mosaic) is currently a small business operator, and therefore not bound by the Act. Notwithstanding this, Mosaic is committed to maintaining an environment and processes that protect the privacy of individuals associated with our church. We have chosen to protect your privacy and manage your information in a manner consistent with the Privacy Act and the APPs. This policy sets out how we will collect, use, and disclose your personal information.  Mosaic Baptist Church may update or amend this policy from time to time to cover any changes in law, practice or policy.  Mosaic Baptist Church (Mosaic) collects personal information about people during the course of their association with the church, primarily for administration, duty of care and pastoral care, and in support of achieving our objectives as a community of faith. Providing regional leadership by working with and equipping churches in our area to advance the kingdom of God. We collect information about people to allow us to communicate with them, share details about our activities, promote the gospel, our activities and ministries, care for, pray for, and provide ministry and service to them. Some of the information collected is to satisfy our legal obligations, particularly to enable us to discharge our duty of care with vulnerable people and children or otherwise required for compliance and regulatory purposes. images and recordings of your involvement in our activities. The types of sensitive information we collect may include records of communication between us, which may include from time to time, the information you provide us or we collect from others. checks and records that are pre-requisite for your role(s) at Mosaic – such as checks for working with vulnerable people, first aid certificate, food processing certificate, etc. We may collect information from you either directly or from third parties, by formal or informal means. We collect personal information about attendees, members, donors, volunteers, employees, contractors and visitors to our services, activities and events. and from forms and other correspondence (both in writing and electronically). On occasions, personal information will be published in the church roll, church directory, weekly bulletins, newsletters, rosters, magazines, minutes of meetings, training programs and prayer requests. Mosaic may from time to time record video or images of its services and activities. These videos and images of the people attending or participating in these services and activities may be recorded, used and shown for information, ministry, teaching, fundraising and/or promotional purposes. By attending these services and activities, you agree and give your consent to Mosaic with regard to the video and image recording and using your images in these recordings for such purposes. We want to celebrate the activities of children in the life of our church. We will use images of their activities from time to time in internal communications and promotional material. If you do not want images of your child to be taken or used for internal purposes you can request this not occur. We acknowledge the sensitivity regarding the broader publication of images of children to the community at large. We will only use images of children involved in our church activities in the community at large with parental consent. Personal information may be accessed and used by the Church or Baptist Association of NSW and ACT to analyse trends and statistical reports for use in developing programs and management of the churches of NSW and ACT as a whole. This information will either be given directly by you with the consent or by us in a form that de-identifies individuals. anyone to whom we are required to by law. We will only use or disclose sensitive information for the purpose for which we collected it, or for a directly related secondary purpose, unless you give your consent to another use, or we are required or permitted by law to use or disclose the sensitive information. As part of our activities, we may collect health information (such as your medical history to determine your eligibility to participate in certain initiatives or assist with ensuring your wellbeing). We will not use health information beyond the consent provided by you unless your further consent is obtained or in accordance with one of the exceptions under the Privacy Act or in accordance with another applicable law. Also, if you believe that a correction is required, please contact us. We will keep you updated on the progress of correcting the breach. Mosaic will investigate the complaint and will notify the individual of its decision and any action taken as soon as possible. Whenever you are sent promotional and fundraising information by post, email or telephone, you will also be provided with an opportunity to opt-out from receiving such material. Information is kept in our database or filed as forms. These are kept in secure premises. All file and papers containing private information are disposed of securely. Our staff are trained on a regular basis to ensure that they comply with the principles of the Privacy Act. If we become aware of any unauthorised access or disclosure of your personal information we will advise you. We will try to accommodate a request for anonymity wherever possible, however, we note that in some circumstances, this may prevent us from practically and effectively communicating with you. We may disclose personal information to an overseas recipient, for example, to facilitate cross-cultural mission as part of Mosaic’s activities. otherwise complying with the Australian Privacy Principles. The Church may also store personal information in the ‘cloud’ which may mean the information is stored on servers overseas. This policy has been approved by the Mosaic Church Board.